In the last ten years there has been an increased regard for the monarchy, especially Queen Elizabeth. Real affection is demonstrated when 1000s turn out with flags just to get a glimpse of her. This is a picture of how we should be towards our King. Do we have a similar spirit of praise and rejoicing for our King and Maker? Psalm 149 describes such a spirit of rejoicing. God is given his worth and the people move their hearts towards their Maker. In the book “You are Special”, Max Lucado tells the story of Punchinello, the wooden Wemmick. The inhabitants of Wemmicksville spend their days placing stickers on each other. Golden star stickers are put on the talented, smart, and attractive Wemmicks. Gray dot stickers are for those who make mistakes and don't stand out. Punchinello, despite his best efforts to get stars from the other Wemmicks, is covered in gray dots and begins to believe he'll never be worth anything. Then one day he visits Eli the woodcarver, his maker, and everything changes. Have you ever seen a tree with a burr – a bulgy growth on the trunk of the tree? They are caused when the tree undergoes stress. It might be caused by a viral or fungal infection or insects. If you cut into a burr you find a mass of knots and twisted wood. Often the bark gets inside the tree too. 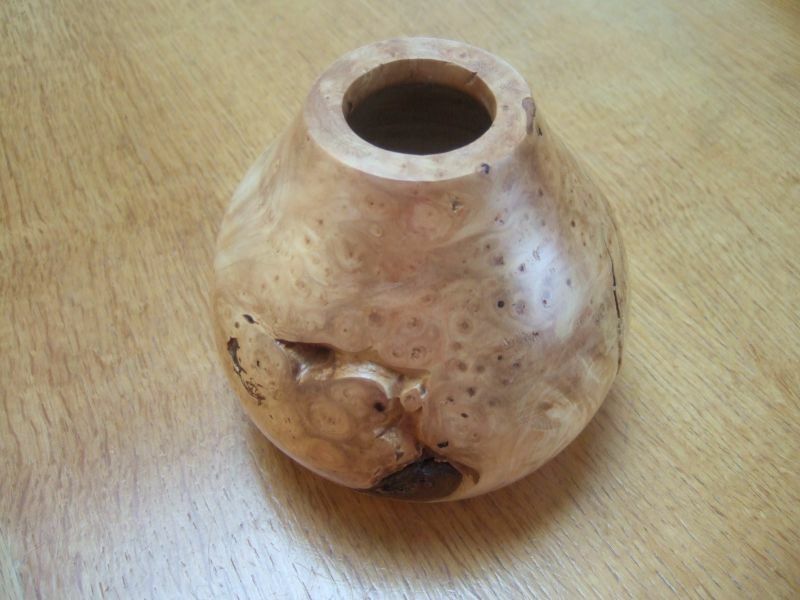 This beautiful bowl has been made from a burr. You can see the mass of knots and the dark bits are bark inside the tree. Like the burr on the tree and the grey dots on Punchinello we can get messed up by the stresses and trials of life. Our Maker can make us beautiful - he wants to take the stuff of life that mars us and transform it. This is the work of our Maker and King the Healing God. Verse 4 of Psalm 149 says “The Lord takes delight in his people”. If you are conscious of things that have marred you repeat this verse saying “The Lord takes delight in ME”.